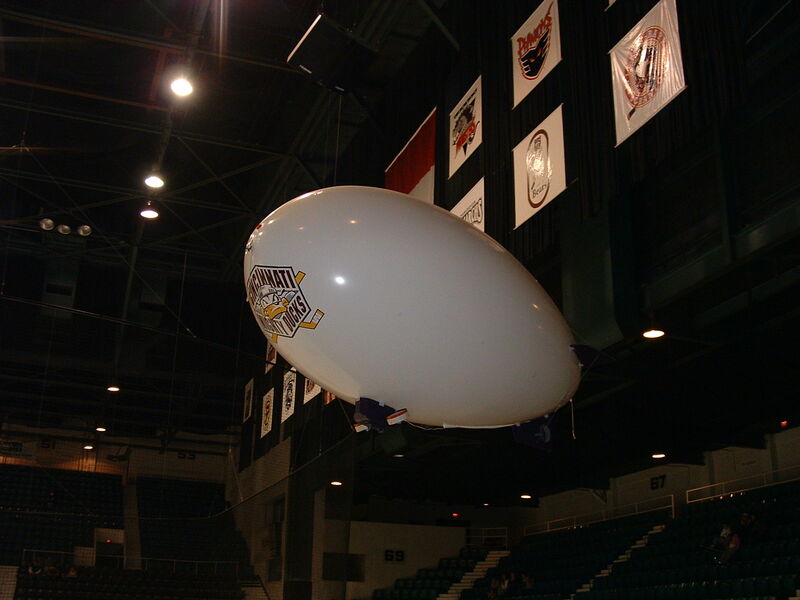 GCRCC members have been flying the RC blimp at mighty Ducks games for several years. They get free passes to the games and it's still the only place you can legally dive bomb the crowd. The blimp flies before the game and between periods. It is rigged to drop passes and promos. It is not too hard and a great time, so contact Dale Carpenter or Jeff Obermeyer if you want to try your hand.